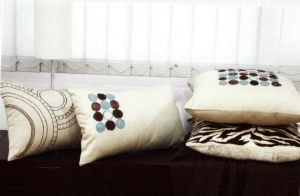 Fueled by the entrepreneurial spark of Deepa R Jain, in a small room with a single sewing machine and an intuitive passion to create a legacy with her own designs in the global Home Furnishings Industry, Orchids was born in 1986. In the R&D division we ideate a concept, inspired from a trend and initiate a Story bearing various factors pertaining to the target market such as country, weather, season and market acceptability. In the Designing division we imagine a look & feel, create a “Mood Board” and develop a design keeping various crucial aspects, like color, fabric, texture, stitch, surface treatment and other specifics to a brand, in mind. Our raw materials are sourced from the most reliable suppliers and vendors that we have built a strong bond with over the last 28 years. We work hand in glove(inappropriate expression which means working in a secret or illegal way) with these companies to ensure consistent quality, durability and an economical output. Our suppliers indeed are part of the extended Orchids family. Sampling and production is at the heart of the company. Every skilled worker at Orchids is skilled and trained to deliver as per the commitment.. Our unskilled labor is mostly sourced through reliable HR channels. We provide utmost safety and security to our personnel to ensure a better (than what?) work environment. Our machinery is the best available in the market such as Juki, Pegasus, Tajima, Simtech and more. Buyers Sellers Meet (BSM), in different countries. Heimtextil Fair, Frankfurt, Germany,the world’s largest Home Furnishings Expo. Orchids differentiates itself by its unique ability to create, make and break trends. Orchids has also managed to survive and thrive despite market volatility. As its core, the passion that started in that small room in 1986, still ignites the company as Orchids continues to grow and evolve with time. Orchids inception in a small garage at New Delhi, India by Deepa R Jain. Orchids entered Exports sector from a Ground breaking advice by the Chief of Trade Development Authority of India, Mr. S. P. Chaudhry to participate in the Buyer seller meet (BSM) at Milan, Italy and cracked the first export orders. Participated in Star Fair, Milan, Italy, bagging its first export orders from Art India, Italy and Comercial Lledo Mas S.A., Barcelona, Spain. Dr Nalin Kr Jain joined Orchids as COO heading its operations in Production and Quality. He attended Business Development meet organized by Developing Countries Trade Agency (DeCTA), UK to assist Entry into UK Market. Common Wealth Secretariat, London in collaboration with Trade Development Authority of India had selected Orchids as one of the 10 companies started by a “Women Entrepreneurs in India” to travel and meet Buyers in UK, France and Germany. Participated in the World’s largest Home Furnishings Exhibition “Heimtextil”, Frankfurt, Germany. Orchids designs got phenomenal response from buyers of Global Mix such as Anita Pletz (Germany), Teresa Alecrim (Portugal) and many more. Orchids established its own first manufacturing facility at renowned Okhla Industrial Area, New Delhi, India. Started supplying to the retail giants The Bombay Company, USA and Canada. Deepa R Jain was elected as the Vice President of the “Association of Jute Entrepreneurs of Northern India (AJENI)” with a vision to promote Jute based goods. Following showcased Jute based Home Furnishings at Seoul Stoff, Seoul an initiative by the JMDC under Ministry of Textiles, Government of India. Dr Nalin Kr Jain played a key role for a market exploratory mission to USA to promote Jute based textiles and diversified Jute products under “United Nations Development Program (UNDP)” organized by Ministry of Textiles, Government of India. Company started supplying to USA’s renowned Retailer “Pier1 Imports”. Renowned French Designer, Emilio Robba offered Orchids to design for a USA based importer using French fabric to achieve European look. 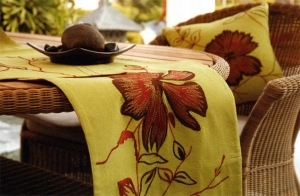 Orchids delivered exact look and feel with Indian fabrics processed to achieve his vision. Conferred with the Export House Status by DGFT, Ministry of Commerce, Government of India. Company established its second manufacturing facility ,100% compliant setup as per International guidelines in the export dedicated Industrial area Udyog Vihar, Gurgaon, India. Company received H&M Temporary Compliance and started production for H&M in their new establishment. Company purchased their own permanent showroom at India Exposition Mart, Greater Noida, UP. 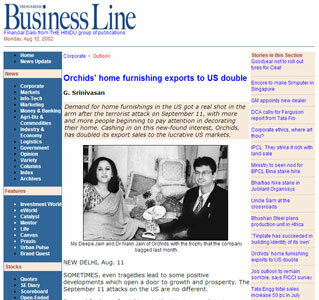 Company recessed its Home Furnishings operations as the Global market economic meltdown occurred understanding the then market scenario. Orchids promoters diversified its wings to new sectors such as Real Estate and Hospitality. Company restarted Home Furnishings and started producing for clients such as Nandos, Rational, Germany within the first quarter. Company participated in the Indian Handicrafts and Gifts Fair (IHGF), Greater Noida, India. Orchids got a phenomenal response for its designs bagging export orders. 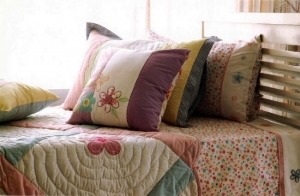 La Kairos is a supreme handmade bedding brand that prides itself on luxury and life. 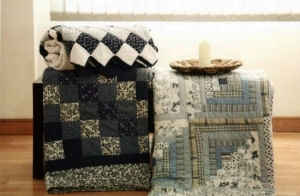 Quilts, Bedspreads, Comforters, Duvet covers, Sheet sets (Flat sheet, Fitted sheet, Bed skirt). 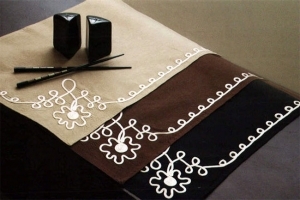 Tablecloths, Table Runners, Placemats and napkins. Aprons, Oven Gloves and Mittens. 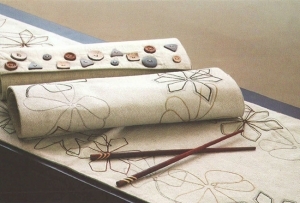 Pillows and Pillow covers, Dec. Pillow, Throws, Stoles, Scarfs, Tie - backs, Beaded placemats and coasters. Tree Skirts, Mantle Runners, Stockings, wine bags, Gift pouches etc. Business Initiative Directions (B.I.D.) 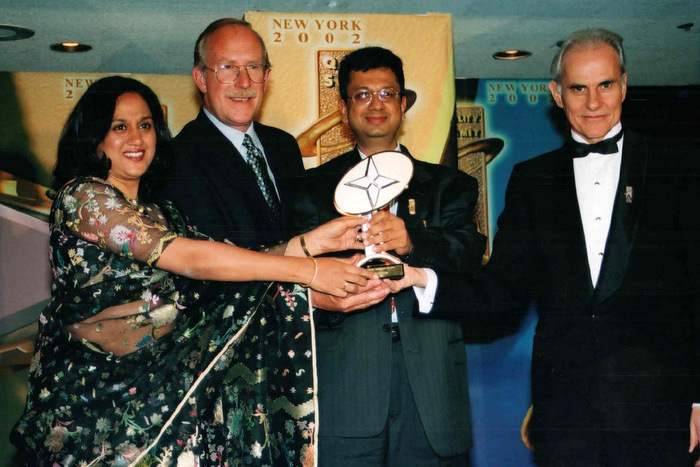 honored Orchids with the “Quality Summit Award for Excellence and Business Prestige in the Gold category” on 14th July 2002 at New York, USA. 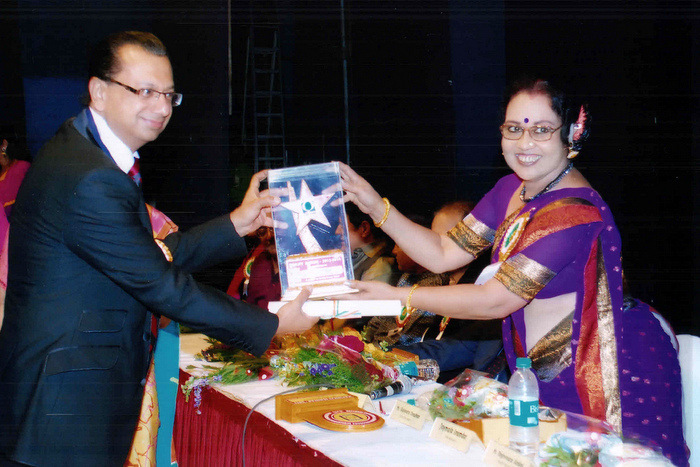 Received the Prestigious Rashtriya Udyog Ratna Award on Jan 31, 2012 by the NEHRDO at Mumbai, India. Presented with Quality Brands award by NEHRDO, Mumbai on Jan 31 2012 for 2012-14.